Is there enough snow on the ground? Is there enough time to get there and back? I’m driving off to Washington County. 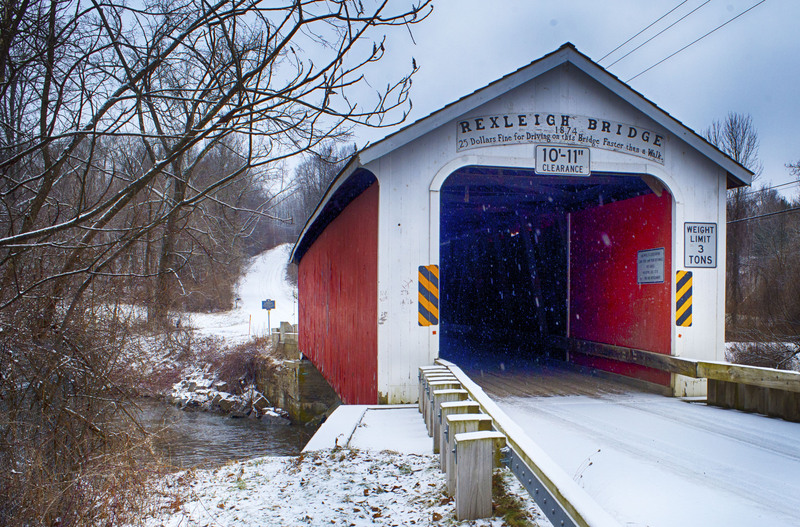 Specifically, the Rexleigh Covered Bridge in Salem, New York. 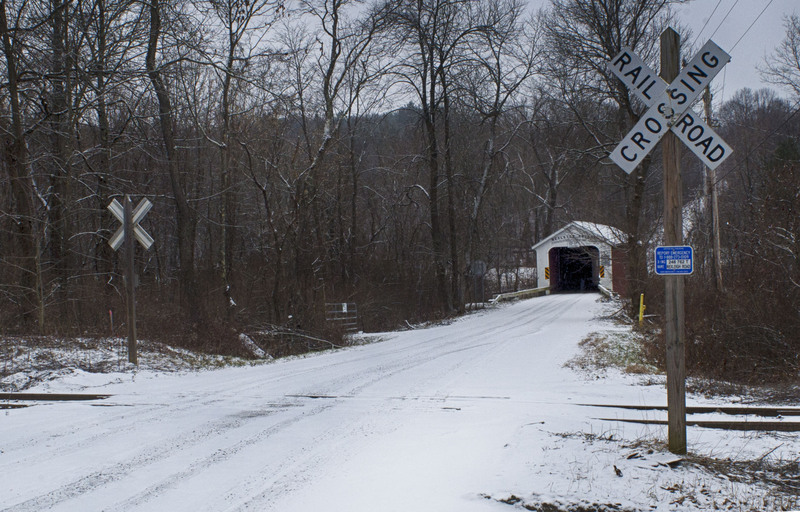 I’m still trying to get a wintry image of the covered bridge, and if it’s Christmas Eve, I should have limited traffic on the road and very few tire tracks on the bridge path. One hour later, I arrive in Washington County. And an initial photo test shows … I’m closer to my goal. 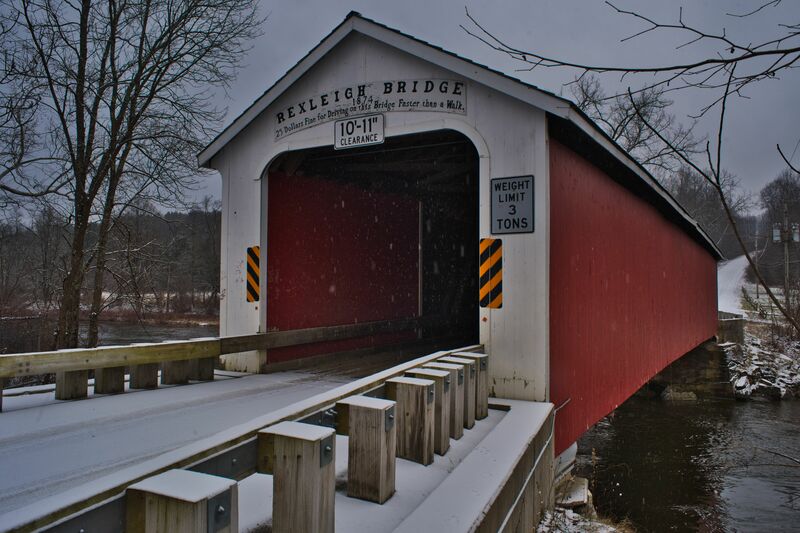 Rexleigh Bridge B-01. Nikon Df camera, Nikkor 28mm f/2.8 lens. Photo (c) Chuck Miller, all rights reserved. All right, Miller, let’s get closer. Can I get that angle from my previous test shots earlier this year? Rexleigh Briege, 2018 Christmas Eve. Nikon Df camera, Nikkor 28mm f/2.8 lens. Photo (c) 2018 Chuck Miller, all rights reserved. And let’s try a beauty shot from the right side of the bridge. Rexleigh Bridge, Christmas Eve. Nikon Df camera, Nikkor 28mm f/2.8 lens. Photo (c) Chuck Miller, all rights reserved. How about a deep shot inside the bridge? Straight on view and see if I can get the trail going upward? 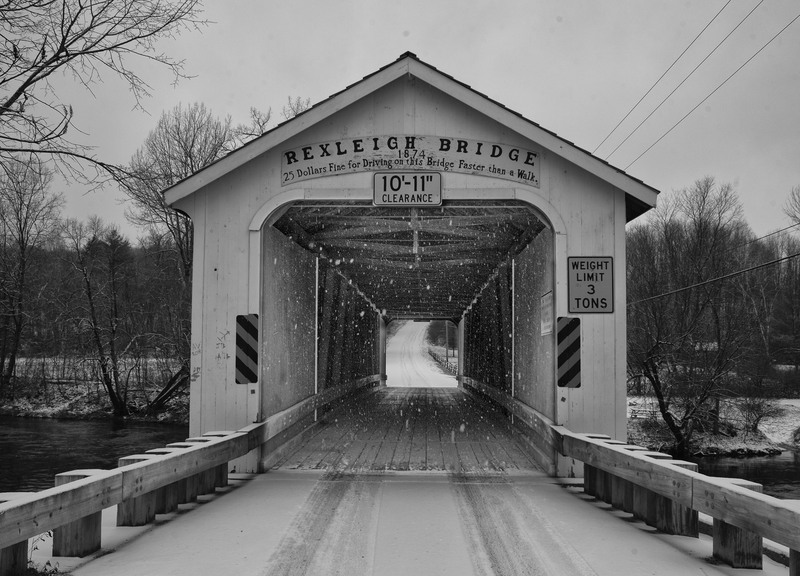 Rexleigh Bridge Christmas Eve B&W. Nikon Df camera, Nikkor 28mm f/2.8 lens. Photo converted to black and white with Google Nik Silver Efex software. Photo (c) 2018 Chuck Miller, all rights reserved. Ooh. I like that one lots and lots. If I don’t get a better winter photo than this… this will be a submission for Competition Season 2019. For sure. Okay… we’re closer. I like these shots – I like them more than the ones I took earlier this winter – but I know that if we get a big fat Nor’Easter, and if I can safely get to this shooting location, I will get the big fat winning photo for next year. Yes, I know I’m focusing on this target over and over again… but I feel like I’m so close to hte image I want, and I just can’t let it go. This is the first photo shoot I’ve done since my cataract surgery. I’m not 100% healed yet – my left eye will take the blade in less than two weeks – but I’m feeling more confident in my photos and in traveling for same. Especially if I can get shots like this. This is proof that photography is therapy. Oh I like that one! A lot! Last shot especially – you got it snowing ONLY inside the bridge structure! Glad see you up and around and taking cataract op in stride!